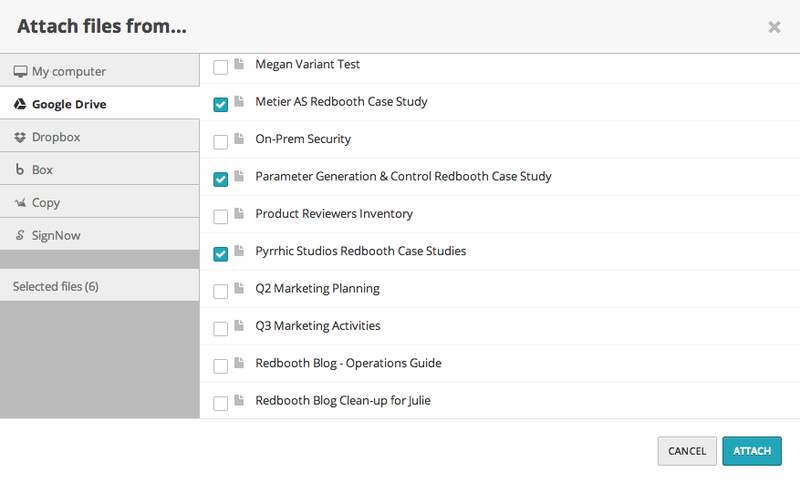 Google Drive project Management Integrations. Google Drive lets you store your files for free, access them from anywhere, and collaborate with others. 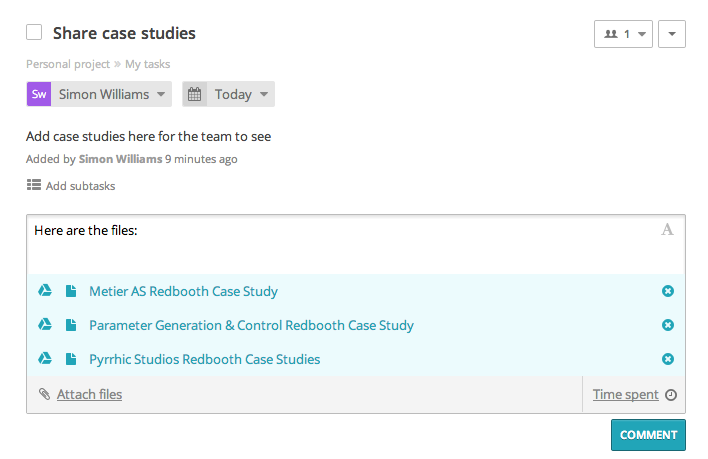 The powerful Google Drive Integration allows you to attach Google Docs to real-time chats, tasks and conversations and allow your colleagues to edit these files. 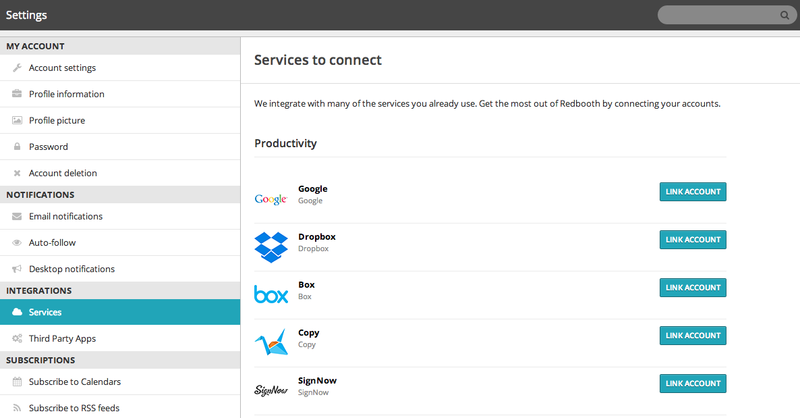 The Google Drive integration is available with all Redbooth plans.